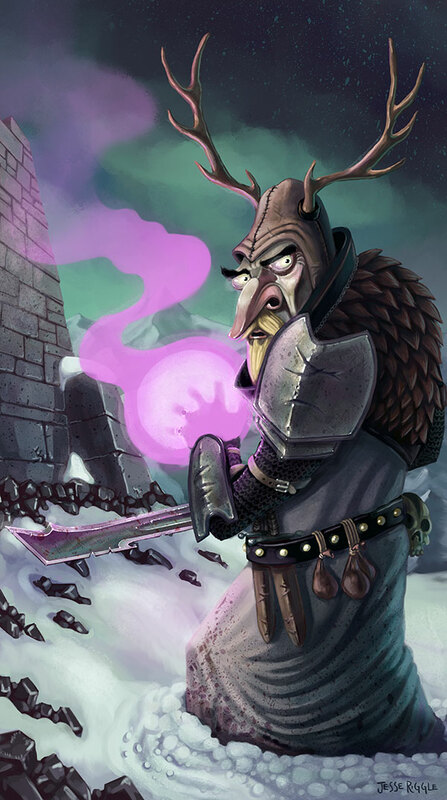 This is Lord Elgr of Elkington, my piece for the Light Grey Art Lab Role Model’s show and card game. You can buy prints or cards decks here. Look at the pink hand glow*! *You may see another similar fantasy lad with a pink hand elsewhere on this tumblr, that one was from an early concept for this one.